You might think of Cornwall as a summer holiday destination, somewhere you go for surfing, sandcastle-building and pasties on the beach. But it makes for a great winter break too – think blustery coastal walks, deserted beaches, cosy pubs and hot chocolate in beachside cafés. I love Cornwall but I’m not a fan of the the crowds, so an off-season trip down to the south west is becoming a new winter tradition. This year’s destination was Falmouth, on the southern Cornish coast. 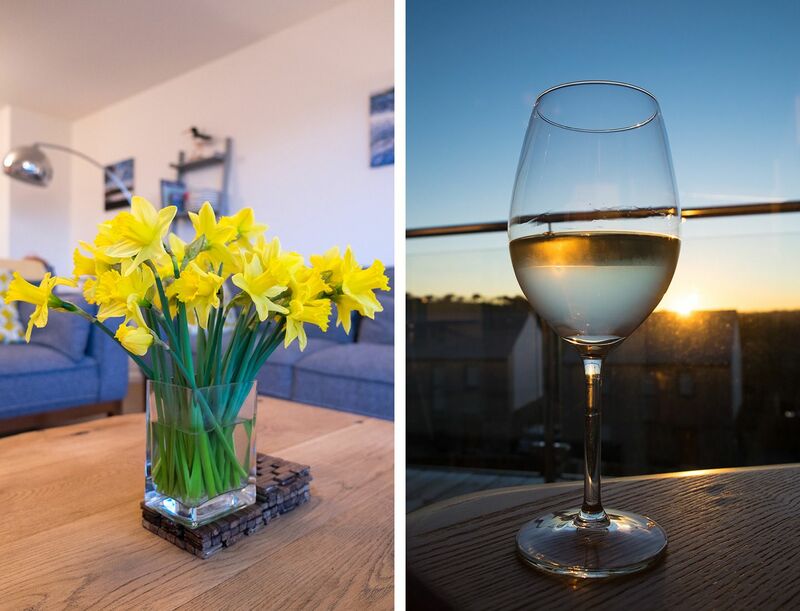 We spent a long weekend in holiday rental Chy Braya, surrounded by gorgeous scenery but cosy enough to withstand the worst of a British winter. 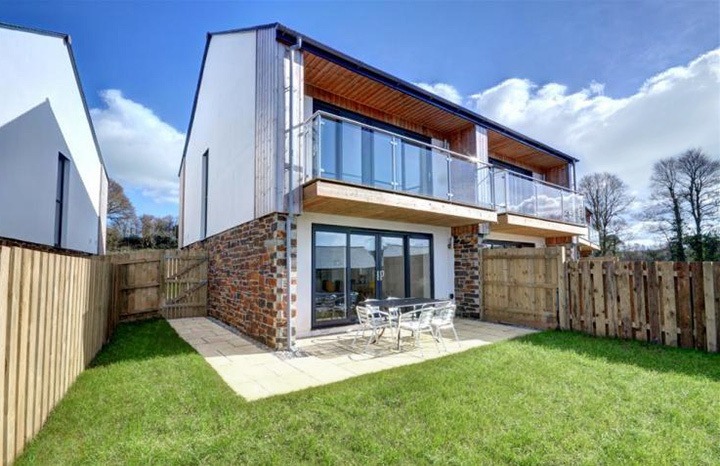 Chy Braya is located on a small modern development to the south of Falmouth, looking out onto open countryside and the town’s golf course. 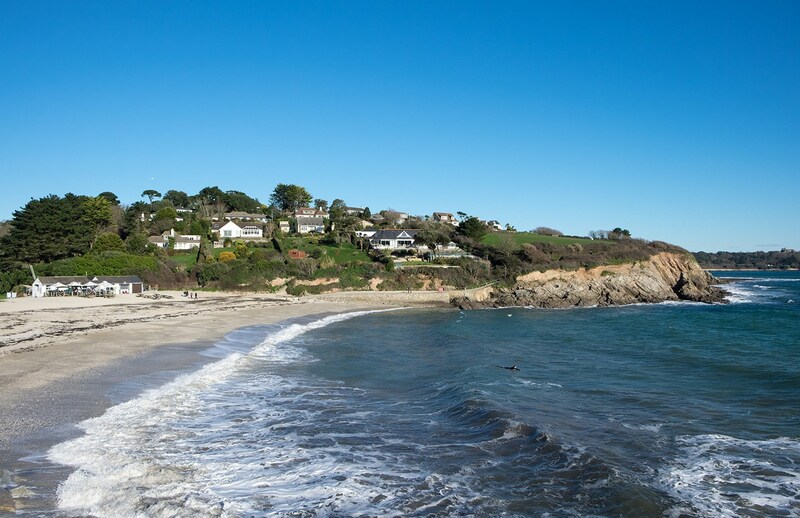 You’re close to two of Falmouth’s beaches – Swanpool is half a mile one way and Maenporth a mile in the other (though access is along the main road so be careful if you’re walking). From Swanpool it’s a 15-minute walk along the Southwest Coast Path into Falmouth. The town has a long maritime history, with the National Maritime Museum down in the redeveloped harbour area. It also has a campus of the University of Exeter so there are lots of students – and with them lots of pubs, quirky shops and cool cafés. There’s plenty to do locally, with boat trips across the Fal River and over to St Mawes, Pendennis Castle to explore, lots of watersports and four sandy beaches. And if you go a bit further afield there are the big Cornish attractions like the Eden Project, St Ives and the Lizard Peninsula. Downstairs the house is one big open-plan living room, dining room and kitchen. Sliding doors along the back let in lots of light, and you can open them right up in the summer. 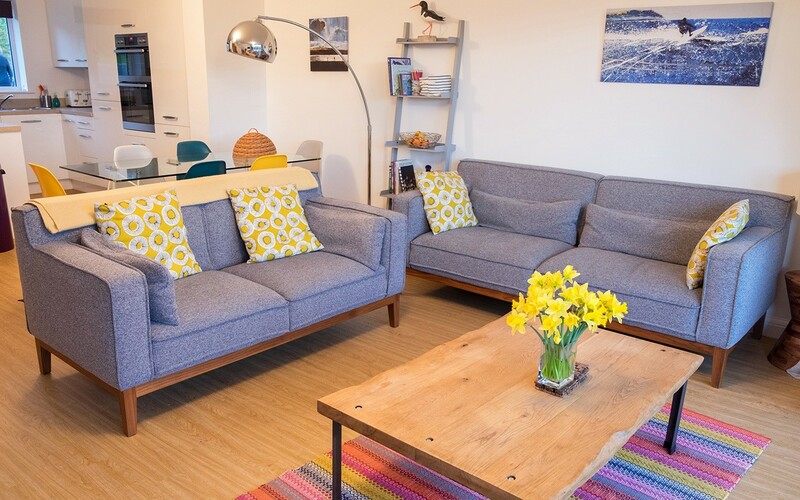 It’s got a clean, modern design, with wooden floors (which have underfloor heating for the winter), Scandinavian-style furniture and a some bright flashes of colour and a few seaside touches from the artwork to add character. Upstairs there are three bedrooms – a master bedroom with an en-suite shower room, a double bedroom and a smaller room with a bunk bed. The master and bunk room both open out onto the balcony, which has a table and chairs perfect for a morning cup of tea (or a sunset glass of wine). There’s a separate bathroom upstairs, which has a bath with a shower over it, as well as another toilet downstairs in the entrance hall. We arrived to find a bottle of wine and homemade scones with jam and clotted cream which got things off to a good start. The house has a dining table seating six and a well-equipped kitchen. As well as the usuals (double oven, microwave, fridge/freezer and dishwasher) it comes with extras like a water filter and Nutribullet blender. We even managed to cook up a full roast dinner without running out of dishes or saucepans. 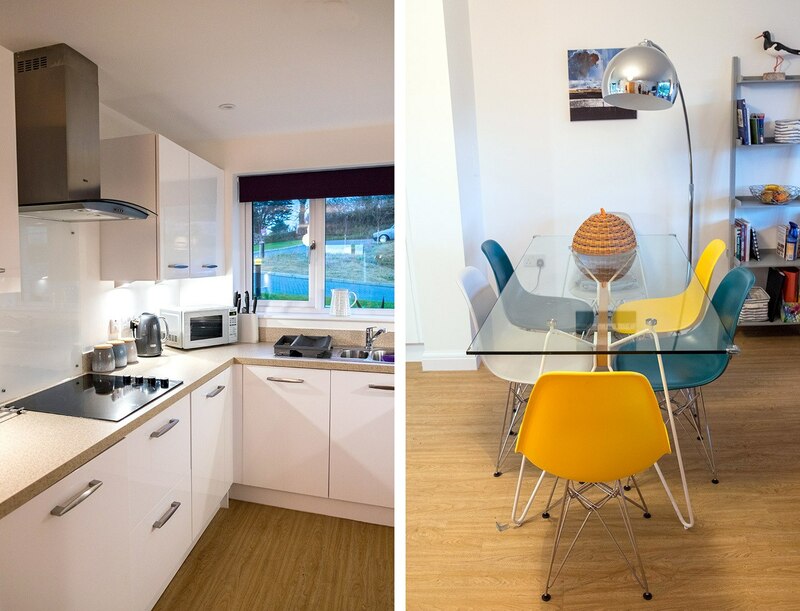 If you’re self-catering there are small Tesco supermarkets in the centre of town and in the harbour, or larger Asda, Lidl and Sainsbury’s stores on the outskirts. 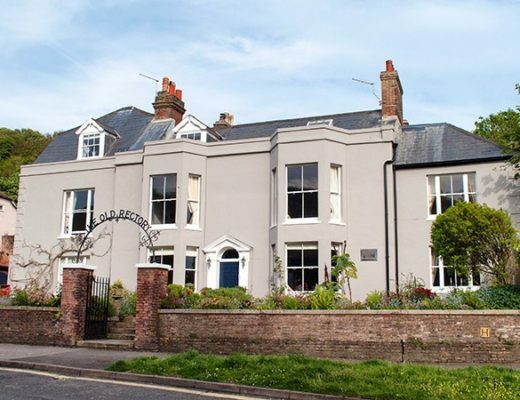 Falmouth has lots of places to eat – and as you’d expect there’s plenty of seafood. 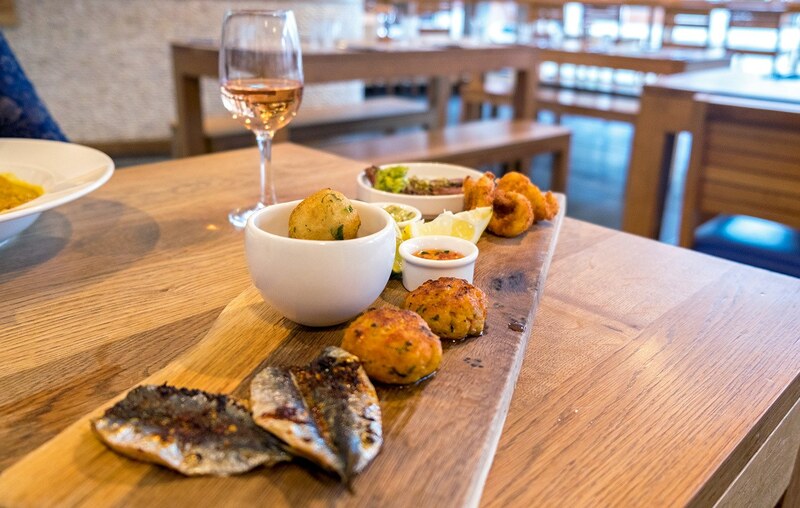 We had lunch at Rick Stein’s Fish, with seafood platters and a bargain £11.95 two-course set lunch. Also recommended are Oliver’s and the Gylly Beach Café on Gyllingvase Beach with great sea views. Swanpool and Maenporth also both have small beach cafés. In the summer there’s plenty of outside space, with a patio and garden as well as the first-floor balcony – and there’s a barbecue and an outdoor table and chairs so you can eat outside. Or in winter it’s nice and warm inside, with plenty of sofa space, wifi, a TV and DVD player, iPod dock, books and local information. If you’re travelling with kids there’s a stair gate fitted at the top of the stairs as well as a highchair and travel cot. And out the front of the building there are two designated parking spaces. Guests are… the house sleeps up to six and would work well for two couples or a family (the third bedroom has a bunk bed so it’d be a bit of a squeeze for six adults). Staff are… the keys were left in a key box and we were sent the code so we didn’t have to worry about arriving at a particular time, and were left with contact details in case of any problems. Don’t forget… Cornish Horizons guests get a Privilege Card which gives you discounts on over 65 attractions, activities, shops and restaurants all around Cornwall. Useful to know… you can also bring your dog along (there’s an extra cost of £30 a week). 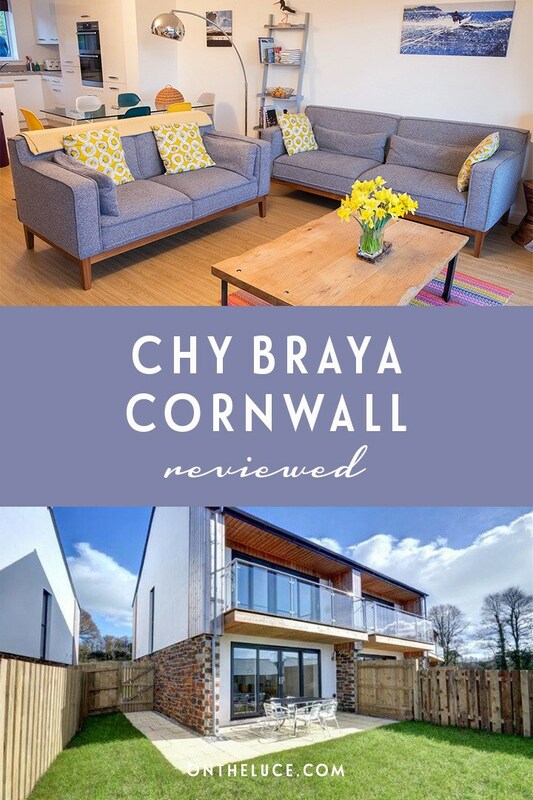 Chy Braya sleeps six and costs from £503 to £1199 a week, or you can also do short breaks. There’s a low occupancy discount of 20% on weekly bookings for groups of four or less at certain times of the year. Many thanks to Cornish Horizons for hosting me. All views and opinions are, as always, my own. Sounds great. I like that it is dog friendly!! Yes it’s good that more places let you bring pets now (though my cats are terrible travellers!). It was a great time to visit! Bit chilly but we had some beautiful sunny days and it was so nice to have it almost to ourselves. Chy Braya is my kind of stay. I am fascinated from the view of Swan pool beach. Looks amazing. Thanks it was so nice! This is fab, and 100% my kind of place. I agree that while most people flock to places like Cornwall in summer there’s something rather special about visiting ‘off season’ when you have the place to yourself. I’m really not a fan of crowds (or traffic jams!) so going down in winter was so nice – you might not get to sit on the beach but you get some gorgeous scenery all to yourself! It all looks so bright and inviting, hard to believe that the Swanpool Beach picture was taken in winter! I’ve not been to Cornwall for some time, this has definitely made me want to return soon. I hadn’t been for years but don’t seem to be able to stay away now! We were so lucky with that one day, perfect skies and so blue. I love the decor in the lounge/kitchen – it is so bright and airy! Great that the daffs were out by the time you were there too! Yes it’s nice to see that spring is finally on the way! This looks lovely. I’ve only visited Falmouth the once for just one night and it poured with rain the whole time I was there. Such a shame my visit coincided with Storm Imogen. I had planned to explore in the morning before catching the train home but they were expecting disruption on the railways so I caught an early train. If only I had caught another one! A tree hit the train and we were stuck there for hours. My 7 hour trip home turned into 15 hours and a total of 9 trains. But I did make the 6 o’clock BBC news being helped out of the train by a couple of firemen. Having read your post I really think I should give Falmouth a second try and Chy Braya looks very tempting. Oh I remember this now – what a dramatic journey! 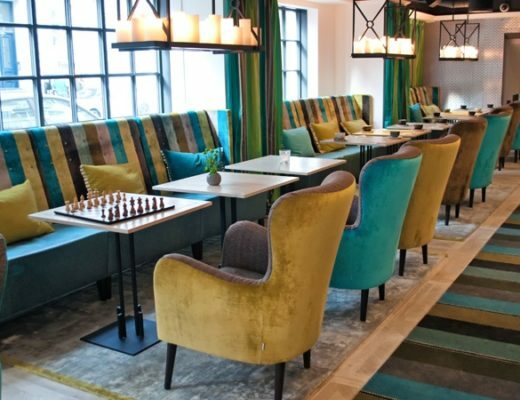 Definitely worth giving Falmouth another try though – maybe in the summer next time! The Eden Project is an absolute must – an amazing place that any age would enjoy. And it sounds like this would make a perfect base for exploring Cornwall. It seems Cornish Horizons have thought of everything. These little details make the world of difference. The Eden Project is fantastic, and so much else to see in the area too! I love visiting in the off season, sometimes you can has the place practically to yourself. You’ve opened my to so many great weekend destinations in England. I best get busy! Cornwall can be so busy in the summer I much prefer it when it’s quiet, especially when we get the winter sun! I like the look of this place – very fresh and modern. 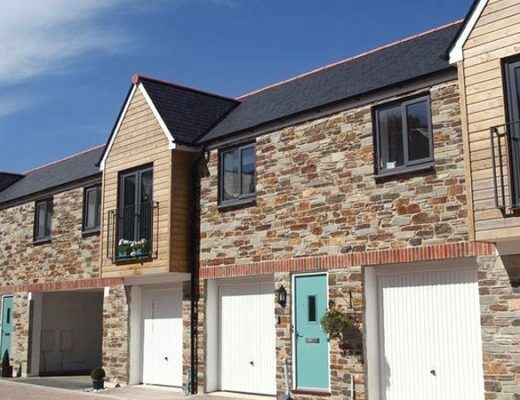 When I think of going to Cornwall I generally think of ‘fishermen’s cottages’ as the types of accommodation, so it’s nice to see there’s an alternative! I haven’t actually been to Falmouth before – is it worth the trip then? Out of season? Great review, thanks Luce. 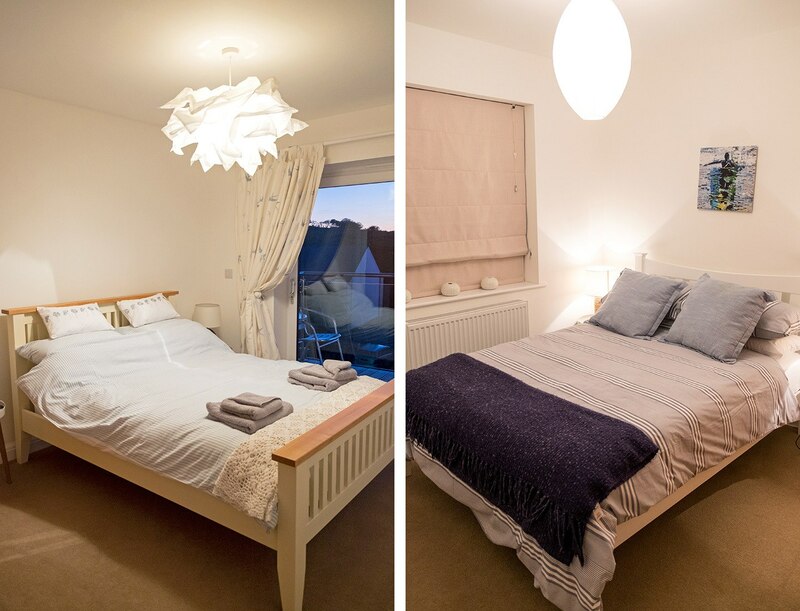 I’ve stayed in a couple of modern style places down in Cornwall and really like the light and airy style. Falmouth is definitely worth a trip, it’s got some gorgeous coastline but enough other things to do too in case the British weather doesn’t behave! It’s a shame cats are so bad in cars – I’d love to see how mine would react to being on an empty beach! Mine would love that (though it’s a nightmare to get them in the cat box to go to the vets let alone halfway across the country! ).